How Many Stars Can We See? I’ll never forsake stars, they’re as much who I am as the air I breath. A rural child, raised decades before electronic distractions – stars were my universe. A portal entered with nothing more than imagination. Mythology danced before my eyes – never forced, elusive or fleeting. Constellations made sense of history – I gazed upon stars just as ancients once looked to the cosmos for answers. Taken for granted my stars would never fade. Not until decades of emptiness met circumstance in the middle of night- a abandoned highway somewhere in Arizona, did I realize how I longed for my stars. Unfettered by light pollution – I welcomed lost stars. 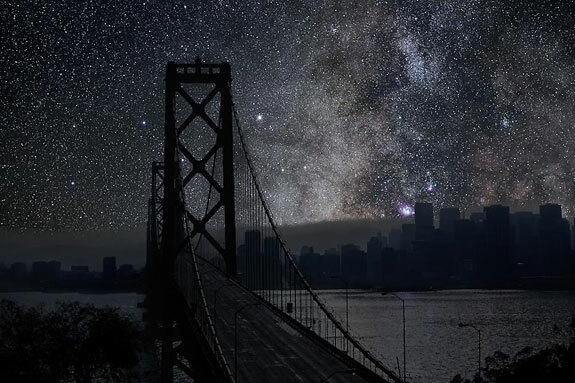 Reality of light pollution – equal parts inevitable and devastating, led me to ponder how many stars we can see. The answer is – not many. Get away from urban illumination, give yourself half an hour or so adjusting to darkness – maybe you’ll see a few thousand. Deposit yourself in the middle of an Arizona wasteland, undoubtedly that number rises. The trouble is – few of us bother with Arizona nights. Ponder the day when all who remember stars are gone, when no child rests on summer’s night grass becoming one with the ancients. Imagine not finding the North Star or plucking Orion’s belt from the sky.